No matter the size of your project, ServiceMaster can help make your carpets beautiful again. Unlike most commercial settings, residential carpet cleaning requires knowledge of pet stains, food stains, urine and spills as well as all of the stuff that kids get into. We have state of the art equipment and cleaning products that can eliminate odors and remove stains from rugs. Our friendly and courteous technicians are happy to help with virtually any type of stain or odor problem that you have. If you are experiencing mold damage or a water damage please call anytime at (207) 539-4452 for a live person. Residential carpet is different from most commercial carpets which are made of heavy duty fibers that are low pile. Residential carpet can be one of many types of fiber, each of which may have their own cleaning requirements. 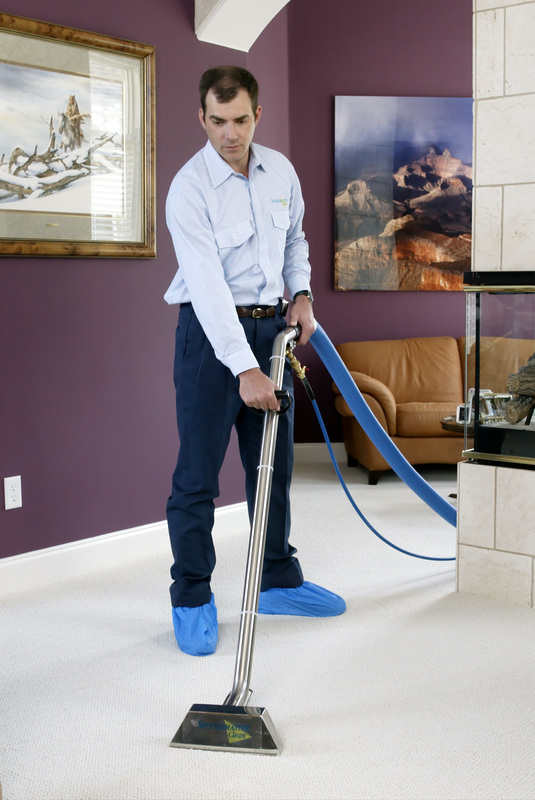 We have products that can clean virtually any type of carpet safely and effectively. Your carpet is the most used surface in your home. Your shoes (which have been on sidewalks, public bathrooms, mud puddles, restaurants, gas stations, newly fertilized lawns and everywhere in between) track all of that dirt, filth and microbes onto your carpet. Your cats and dogs also bring in flees, mites, bugs and parasites as well as soil and they generate their own dander. Dust settles onto your carpet daily and is ground into the backing as you walk on it. Together these elements create an environment that can be very unhealthy for you and your family. A professional carpet cleaning will eliminate these pollutants and leave your home clean and safe. After a thorough vacuuming, we spray your carpet with a highly effective detergent that is safe and odorless. We will rake it into your carpet to make sure the entire carpet gets clean. This detergent will neutralize oils and contaminants so they are not adhered to the fibers or the backing of the carpet. After letting the detergents dwell for several minutes, we remove it as well as all of the soils, dust and contaminants from the carpet with a hot water rinse extract technique. Using powerful truck mounted equipment, water is heated to over 200 degrees and it is sent into your carpet and immediately extracted with an industrial strength vacuum. There is nothing left in your carpet but a small amount of water which will leave your carpets only a little bit damp for just a few hours. To keep you carpets protected and looking good, it is always best to treat them with Scotchgard. Scotchgard is specially formulated so that spills will bead up on top of the carpet instead of being wicked into the fibers or the backing. Most carpet is pretreated with Scotchgard by the manufacturer and it wears off with time. A thorough hot water rinse/ extract will remove most of the Scotchgard so it is best to have it replaced after a cleaning. Our competition likes to skip the first step and instead they use detergent in the water. That leaves a soapy residue on the carpet which will attract dirt instead of repel it. It also makes it very difficult to apply Scotchgard so that it is effective. Not skipping that step may take us a little longer but your carpets will be free of soap and you can rest easy knowing you have the cleanest carpets possible. You can always reach a live person at ServiceMaster Clean. 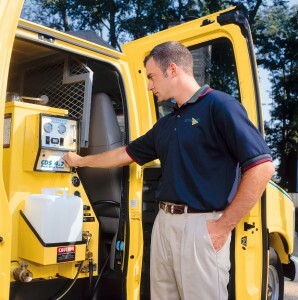 We have crews on call 24 hours a day in virtually every city in the state of Maine. Areas we serve: Greater Portland, Cape Elizabeth, Scarborough, Falmouth, Cumberland, Yarmouth, Freeport, Brunswick, Bath, Augusta, Lewiston, Auburn, Farmington, Rumford, Bethel, Rangeley, Norway, Oxford, Bridgton and all towns in between.